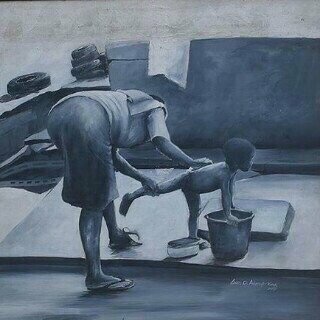 Artist Henri Moweta’s painting titled “Mother Care” has been making its round on social media. I thought to let people know the source. It is currently available for purchase.